We are delighted to report that our recent Open Day at our hangar in Wesham, Lancashire was a great success. We had approximately 90 wonderfully enthusiastic visitors to the hangar throughout the day. The ages ranged from 2 to 89 years of age and for this Open Day our furthest travelled visitor came all the way from Malta and our most local visitors were from Wesham itself. 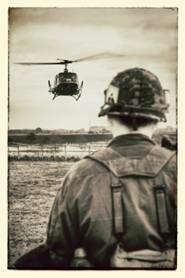 The Huey Team for this particular Open Day was made up of our staff and volunteers and included living history enthusiasts, pilots and ground crew. 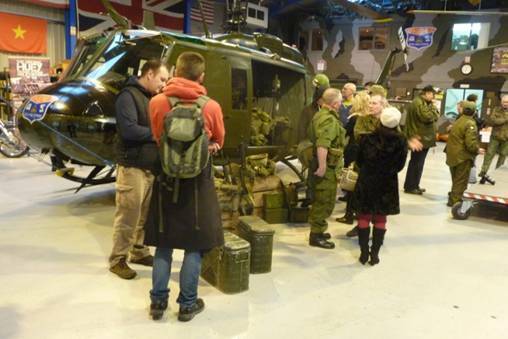 The living history enthusiasts provided a super display of equipment and livery from the Vietnam War, which really added to the appearance of the hangar and of the static helicopter displays. 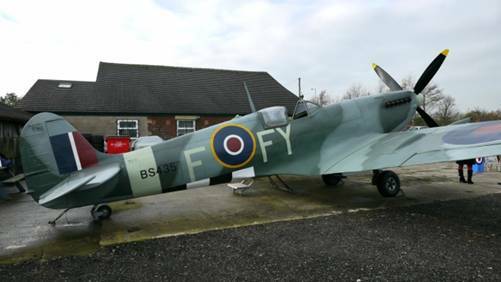 In addition to the Huey Team we also had superb support from the Lytham St Anne’s Spitfire Team who were a great help in welcoming and entertaining our visitors and whose static Spitfire display really added to the excitement of the event. 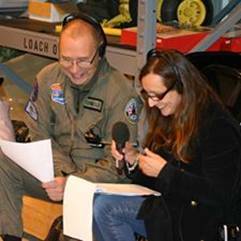 We were also delighted to be joined by Maria Felix Vas from BBC Radio Lancashire who broadcast her Lunchtime Favourites show from the Open Day. 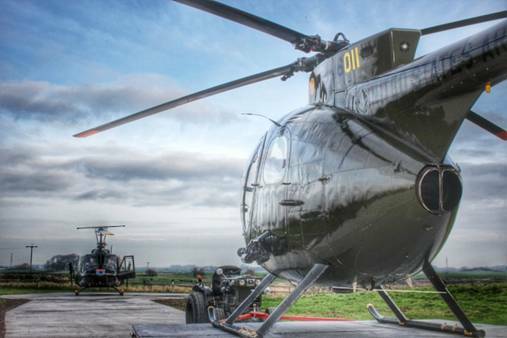 The theme of the programme being an hour long chat with the Huey Helicopter MD and pilot Phil Connolly about his life-long interest in aircraft and his favourite songs. Huey and Loach began their day inside the hangar where visitors were able to take a close up look at the aircraft and even sit inside them and take photographs. 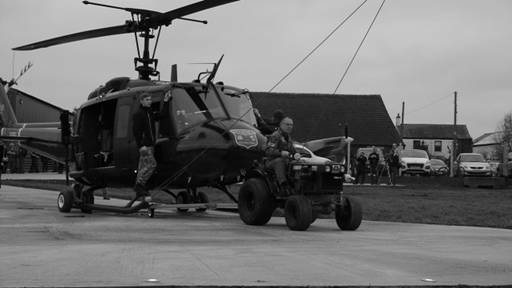 They were able to chat to our pilots about the aircraft and to our living history team about the unique history of each helicopter. There were children of all ages who worked very hard on our Children’s Quiz. All the quiz sheets were entered into a lucky draw and the deserving winner was Tyler who chose a helicopter model kit from our Huey Shop as his prize. Well done Tyler, we did notice that you put a great deal of effort into completing the quiz questions by investigating the hangar displays and asking questions of the crew. 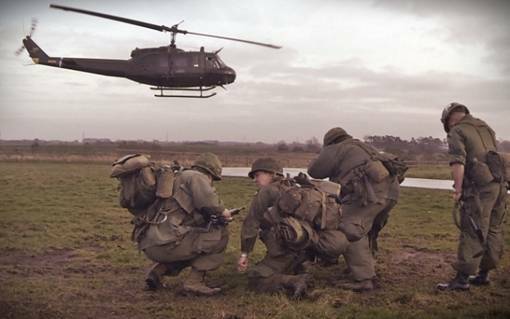 We took the opportunity to show the BBC film of the moment that Huey 509 was re-united with some Vietnam Veterans that served in the 129th AHC, the unit in which 509 served. This is a very moving film which was popular with some of our new visitors who had not had chance to see it when it was originally broadcast by the BBC. Considering the date of the Open Day we were so blessed with the weather. The day was quite mild and the light was good for all our budding photographers. 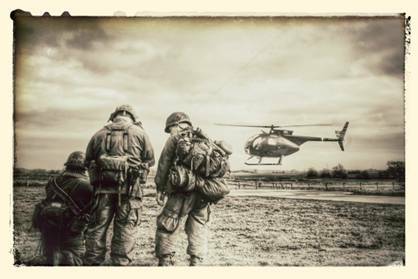 In the early afternoon Huey and Loach were brought out into the open and positioned on our new purpose built Landing Zone. 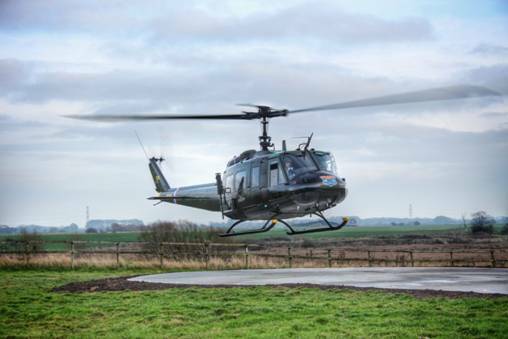 Our guests were lucky enough once again to experience the thrill of the sounds, smells and the sheer power of the downdraft as the helicopters took off and made their way to nearby Blackpool Airport for refuelling for the last time this year. Towards the late afternoon the sun even made an appearance whilst the aircraft were still positioned outside for a whole new range of photo opportunities. The sandwiches and hot soup provided at the hangar went down a treat. As always teas and coffees were readily available in our Huey and Loach mugs which many of the visitors decided to buy once they had used them. The Huey shop was very well supported and a number of visitors chose some of our brand new products as souvenirs of their visit. The new items include “Technical” Huey and Loach T-Shirts and the framed laser cut wooden pictures of Huey and Loach. The Open Day was the first opportunity to buy these new lines which have since been made available via the website, all in good time for purchasing for Christmas presents. Many of our guests have sent in lovely messages of thanks and support regarding the Open Day. These have been coming in via email, Huey website contact page, Facebook and by post. Your feedback is gratefully received and really means a lot to us, so thank you. We would of course like to thank all of you for attending because without your enthusiasm and support it would not have been such a great day. Thank you also to those of you who have shared your superb photographs and videos with us. Please spread the word and we hope to see you again at future open days.